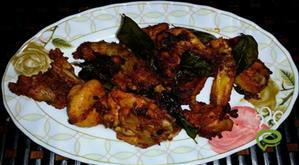 Mutton Pepper Fry prepared in kerala style is a spicy mouth-watering dish that goes well with porotta, naan, roti and almost all rice dishes. 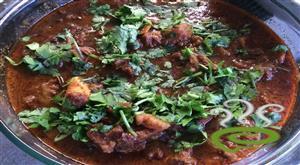 Roasted mutton chunks in thick, oil oozing, pepper rich gravy is the speciality of Mutton Pepper Fry. The flavour loaded dish is simply amazing. Bite sized mutton pieces are cooked in a chilly garlic mixture until mutton pieces are soft and succulent. 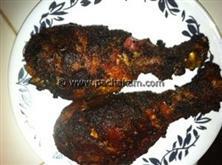 The cooked mutton is roasted in a hot kadai with pepper and other spicy seasonings. 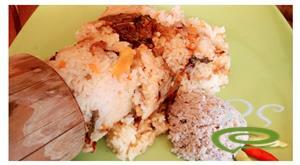 The curry leaves sprinkled on top adds yet more elegance. Here is a recipe that tastes rich and heavenly. Enjoy the dish. 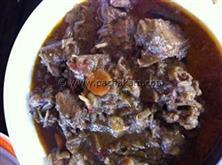 Clean and cut mutton into medium pieces. Cook the mutton along with chilly powder, coriander powder, turmeric powder, salt, ginger-garlic paste and a few curry leaves in a pressure cooker. Add curry leaves, shallots, green chillies and ginger and saute, till it becomes golden brown. Add the cooked mutton and cook, till the oil separates and is well roasted. Add pepper and garam masala and saute for 1 - 2 mins. 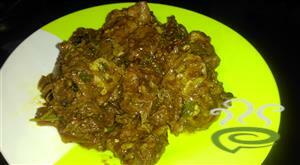 Really thanx for the recipe,first time i tried mutton fry it comes out excellent. Thank you very much for the recipe. The mutton fry turned out absolutely wonderful. Please keep posting more delicious recipes. I tried out this recipe .It was great.realy it was nice .Every one should try it out.I would like to thankyou. I have tried this recipe. It was extremely delicious. My husband and son absolutely loved it. This recipe gave me the best compliment I got all my life ----- my son said "Mom, i just love your cooking" !!! !